A classic vintage tote bag with a stylish handle (multiple colors) and a printed message for entrepreneurs that are passionate about their goals. Great gift idea for business owners and online creatives. Add to cart today! 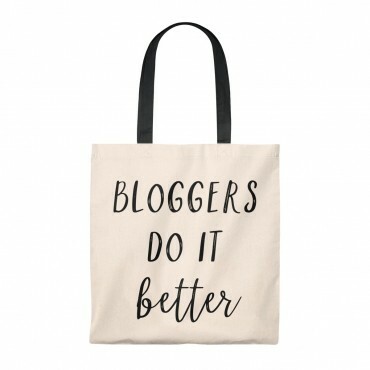 This practical Blogging Mode Tote Bag is the perfect accessory to take along to networking events or to co-working sessions in cafes when you need to bring your laptop. 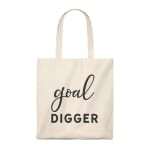 The simple, vintage design makes this the ideal gift for any entrepreneur or passionate online creative. It comes in different color handles. 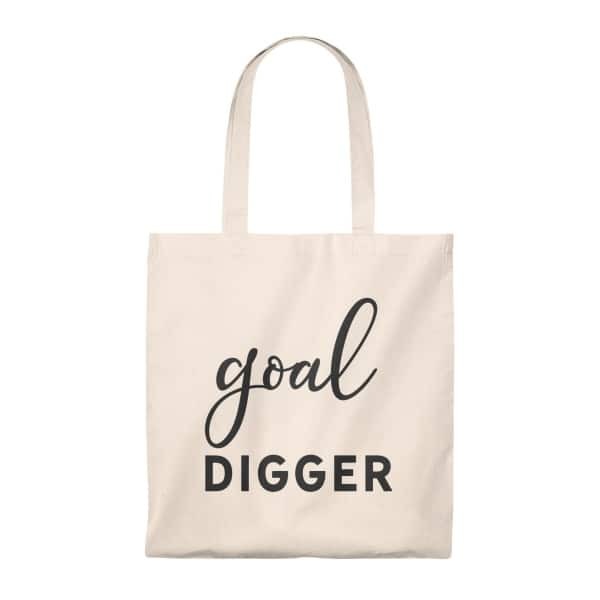 The message on the tote bag reads as follows: Goal digger. 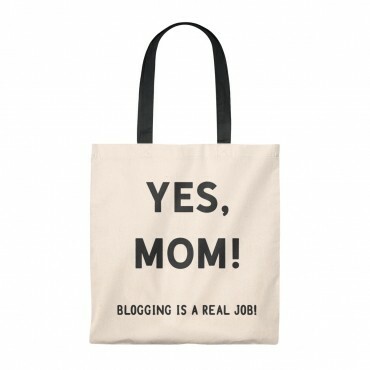 Vintage tote bags make great gifts for bloggers. 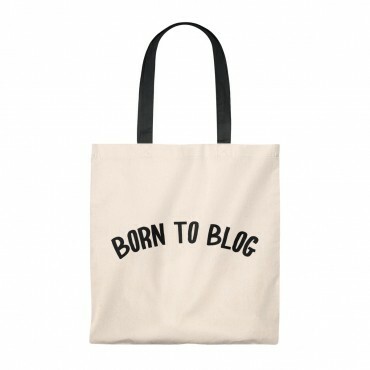 Grab one for your friend (or treat yourself) and wear it proudly, because blogging is a real job! A classic vintage tote bag with a stylish handle (multiple colors) and a blogging themed messaged. 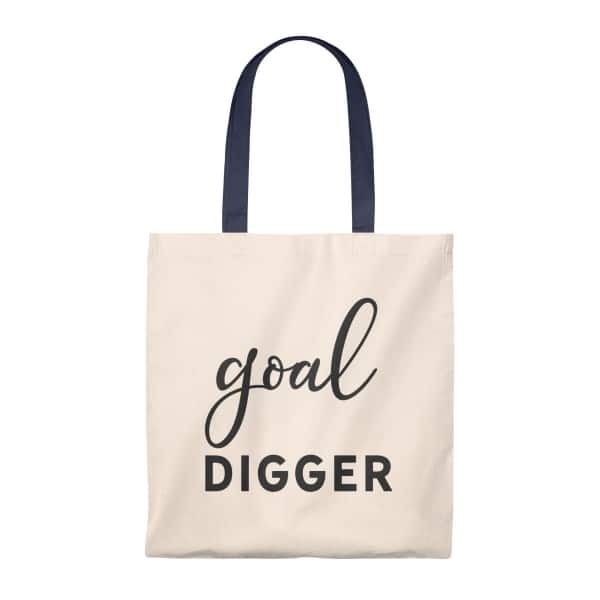 Great gift idea for the blogger in your life! Add to cart today! 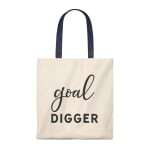 A classic vintage tote bag with a stylish handle (multiple colors) and a blogging themed message. Great gift idea for the blogger in your life! Add to cart today! Get 20% off on your first order! *When you sign up to our email list. 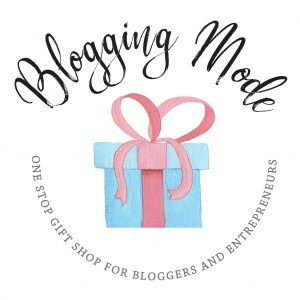 © 2018 Blogging Mode – One Stop Gift Shop For Bloggers. All Rights Reserved. Theme designed by Leehari.